I am so excited today! After experimenting on vegan cakes I have been meaning to make a vegan savoury tart. The day I made it I was so anxious that I woke up at 6.30 thinking about the «vegan tart project». The crust is made with olive oil, milk, flour, oats and sesame seeds. 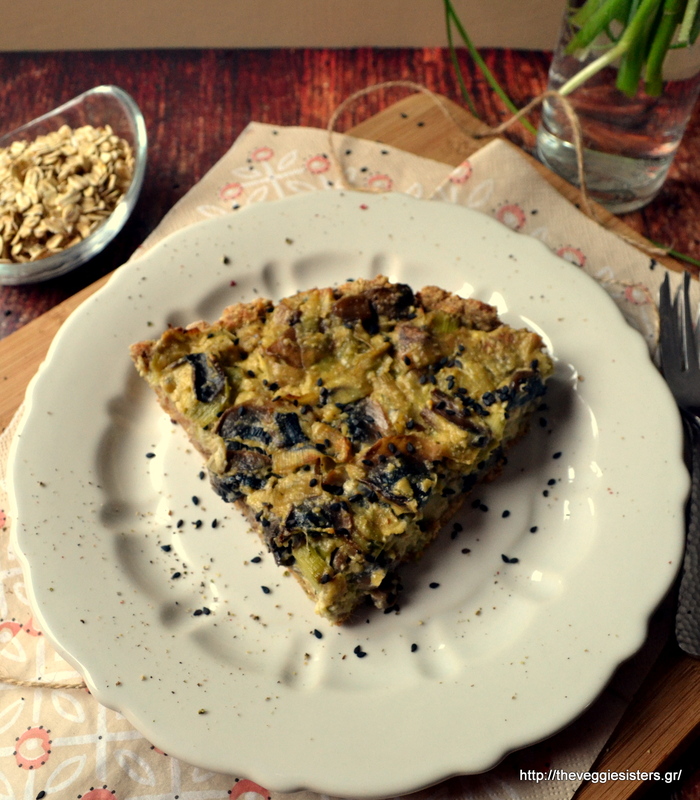 The filling combines two amazing veggies (leeks and mushrooms) with a wonderful «cheese cream» made of silken tofu (I am in love with this plant based cheese! ), cashews and nutritional yeast. Nutritional yeast has a strong flavor that is described as nutty, cheesy, or creamy, which makes it popular as an ingredient in cheese substitutes. It is often used by vegans in place of cheese It is sold in the form of flakes or as a yellow powder. It is a complete protein and is usually fortified with vitamin B12. Tofu and yeast made this tart really memorable! No need for eggs, cheese or yogurt! The experiment was 100% successful! 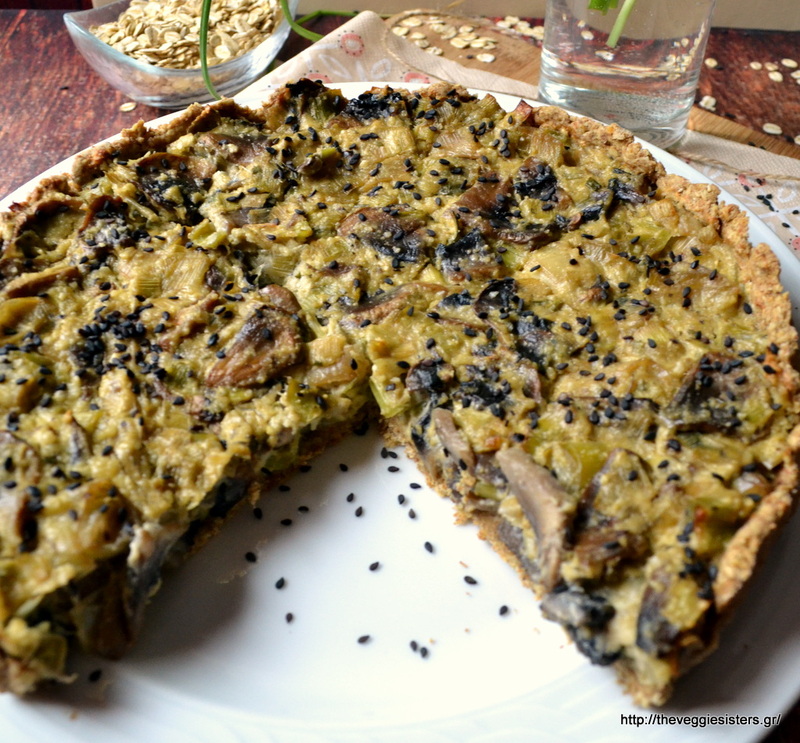 Share the post "Vegan mushroom leek tart"